Seeds or plays on table. 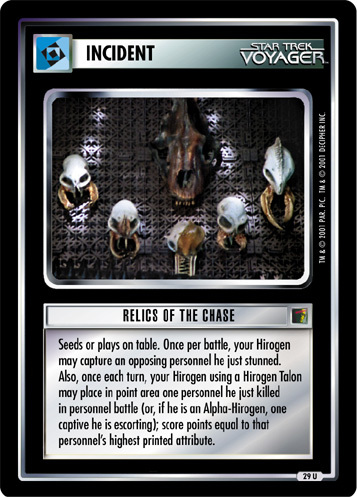 In place of your normal card draw, you may download Rituals of the Hunt, Hirogen Hunt, or any ship. 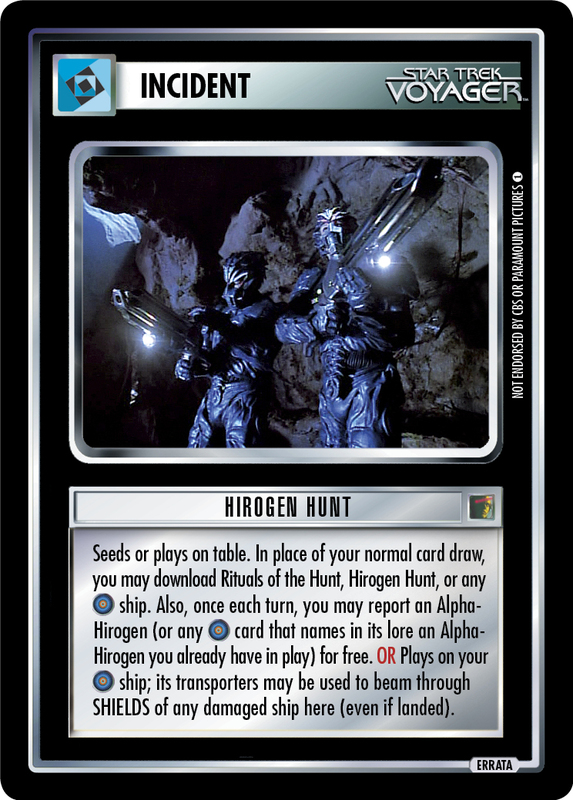 Also, once each turn, you may report an Alpha-Hirogen (or any card that names in its lore an Alpha-Hirogen you already have in play) for free. OR Plays on your ship; its transporters may be used to beam through SHIELDS of any damaged ship here (even if landed).